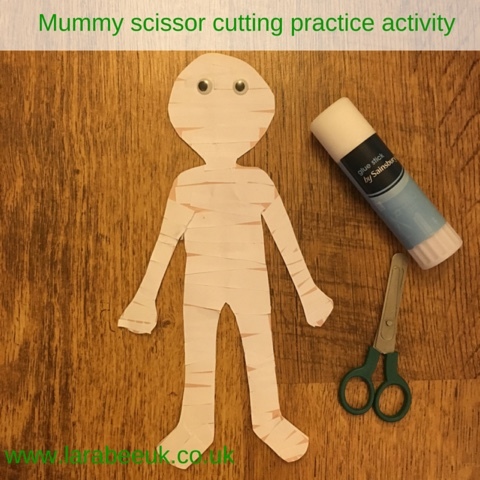 We've started off our Halloween activities with this rather cute mummy, which uses 'bandages' cut up by T.
An outline of a person - I used a printable from pickle bums for this as I'm pretty naff at drawing! 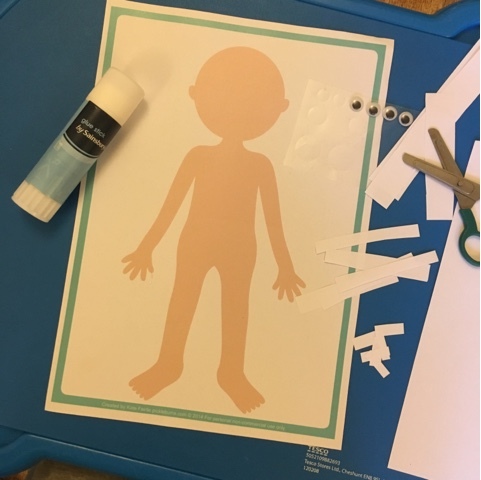 T loves using scissors and as a lefty does a great job, I started by showing him what to do and let him cut up the bandages, he then used the glue stick to attach the bandages over the picture. When he finished, he was going to cut out the mummy, but it was a bit too hard for him so I did it. It's now pride of place on our window gallery! What a great halloween learning activity. 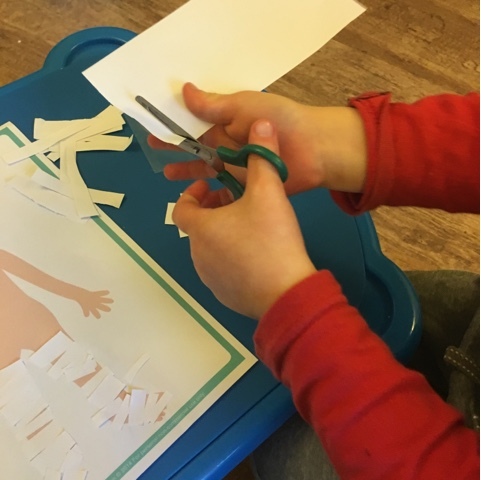 G is just learning how to use scissors so this would be great for her....although she saw a picture of a mummy the other day and I tried to explain what it was but she didn't get it! My guys would love this, and like Beth said, would make great bunting! !